Can I move my nasturtiums and spring cabbage? Hi everyone. 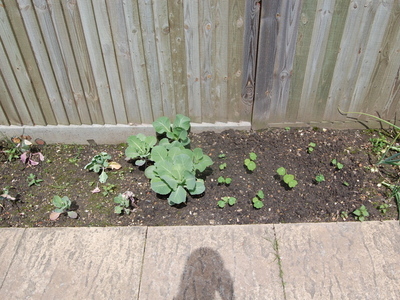 This photo show my spring cabbage and the nasturtiums I planted for Spritz. The cabbages in the middle are fine but those on the left are really struggling and the nasturtiums' pack says they want poor soil. Can I dig them up and swap them round? The weird thing is the cabbages are on the spot I double-dug last year. Hi Buzzbee, Thanks for that. Only a few of my cabbages are OK though - the 5 or 6 patches of green on the left about the size of thistles are meant to be cabbages too! Not happy veg.